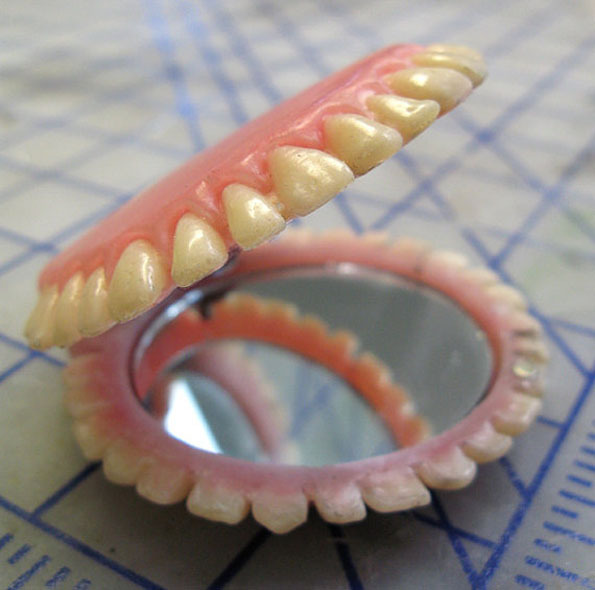 First Etsy shop ConcaveOblivion gave us denture jewelry and we were terrified grateful. But now all of a sudden your iPhone case just doesn’t seem to be up to par. Par being batshit crazy, just so we’re clear. 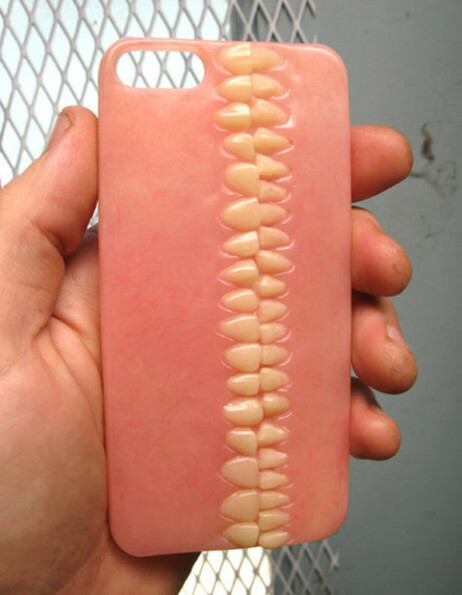 Fortunately the shop is now selling this denture iPhone 5 cover for $70. Alternatively, you could make your own. 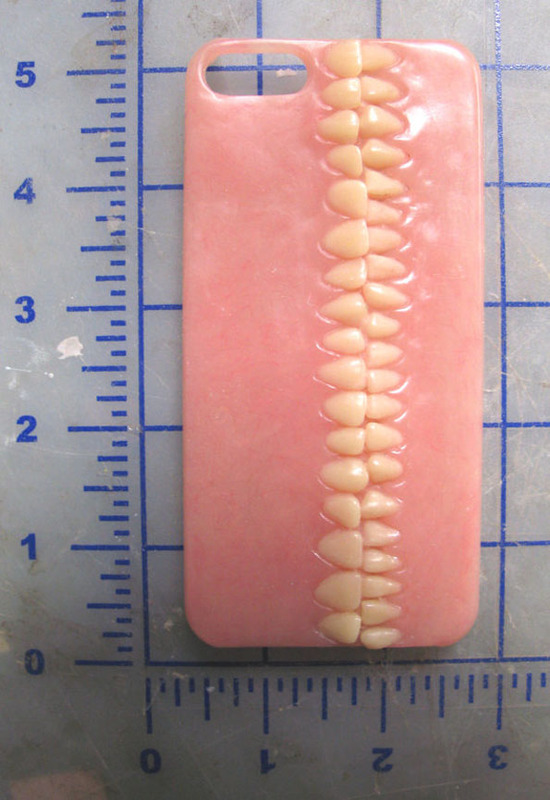 I’ll sell you all my baby teeth for $15. Sure you’ll have to DIY the whole thing and it definitely won’t look as good as the own pictured above, but c’mon! Just $15 for a sack full of baby teeth which I assume are mine because I found it in the back of my mom’s closet? That’s a total steal! Plus you won’t have to pay shipping. 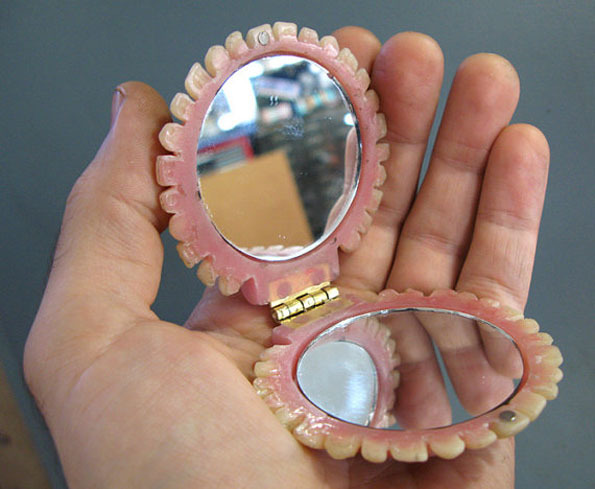 The shop is also selling a denture compact, you know, just in case you like your hand mirrors completely encased in fake old people teeth. And let’s be honest: who doesn’t?